Nerdy for Nails: Meme Week: U Jelly? 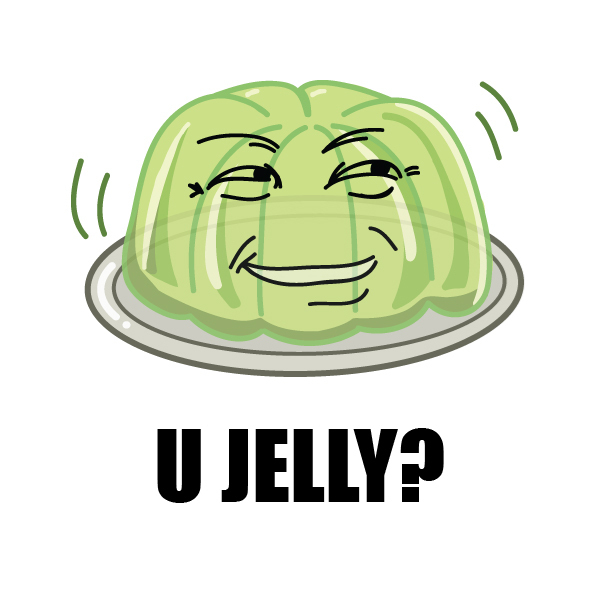 U Jelly? Or jealous, for the uninitiated. 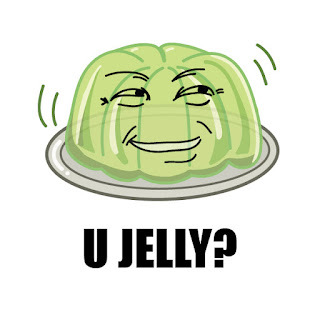 The internet is confused about what the Jelly meme looks like. 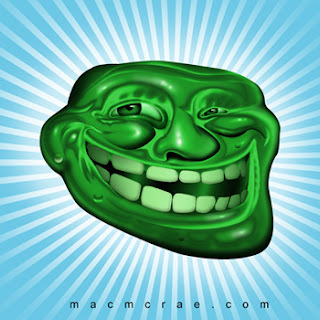 I did a little research at Know Your Meme and it appears that the the original Jelly face is more like this top one here, but a google search brings up the troll face in much higher quantity. The third picture is apparently the horrifying result of Jelly and Troll making a baby. This should probably be viewed as part two of my jelly stampwich fail from last week. I've been very majorly jelly of this gorgeous stampwich by Cazzy at SpecialGirl Nails and My Pointe Exactly from OPI. Since I refuse to be able to afford OPI prices I started searching the internet for cheap drugstore grey jellies. Do you know what I found? Nothing. At all. Until I finally came across someone talking about being able to make a jelly from clear polish and whatever grey you might already have. I headed right out to the store to buy some cheap clear top coat and attempted to dupe MPE to the best of my ability. It's not exact, but I do really like the result. I used a bottle of Wet n Wild clear top coat (the 99 cent variety) and poured a bit off the top for shakeability. Next I started indiscriminately dropping in drops from China Glaze, Recycle which is a medium grey creme. That was coming out too light so I started adding in drops of a jelly-like black I have, Savvy, Ebony Black Nail Art (don't ask me why a "nail art" polish is mostly jelly in nature). This darkened it up in a weird way so I added some Sally Hansen, Ion to lighten in back up. I think I may add some more of this later to give it more of the milky quality that the OPI polish has. It was a work in progress and I kept swatching it on one nail at a time. I think you can tell the pinkie looks a bit lighter than the pointer. I did two coats of the jelly then stamped with Bundle Monster plate BM-312. I added two more coats to create the stampwich. Nailed it? Ehhhh.. close enough. I think I prefer your franken to MPE! It has a touch more colour to it - very pretty. Ohh, checking it out right now. I love your stampwiches. Hahaha stampwich! It looks amazing! Thanks! I really like this look.